This commentary is part of the American Worker series, which explores a range of critical topics that affect the American workforce. The series is sponsored by RAND Labor and Population. Autonomous vehicles—vehicles that drive themselves some or all of the time—are projected to hit American roads within the next few years. They promise safer transportation, greater mobility for millions of Americans, improvement in how space is used, and a host of other benefits. But they will also have enormous impacts on the workforce, some negative and positive, some subtle and surprising. The most immediate disruption is to professional drivers. 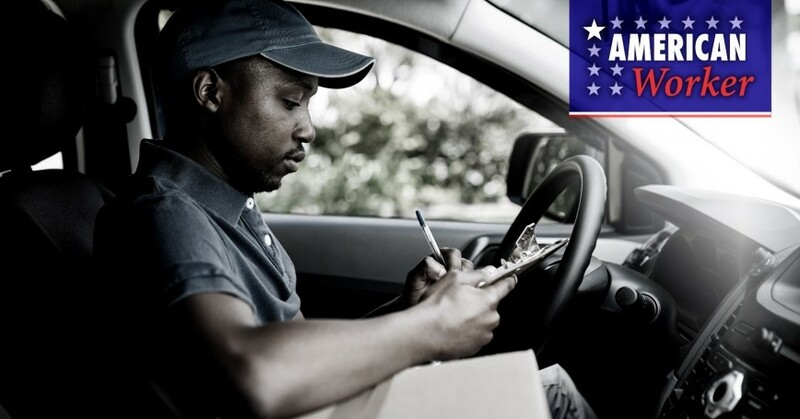 According to the Bureau of Labor Statistics, nearly 4 million Americans make their living as professional drivers (PDF), including delivery and heavy tractor-trailer drivers, bus drivers, taxi drivers and chauffeurs, and others. This does not include potentially hundreds of thousands of people who drive for transportation network companies like Uber and Lyft. These jobs are at risk of being made obsolete by autonomous vehicles, though some more than others. 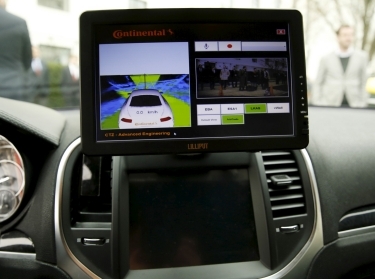 The extent of the threat depends in part upon how much of the job involves sitting behind the wheel versus engaging in other activities that are less easily automated, such as assisting passengers. A report by the White House, for example, estimated the extent to which driving is an essential and automatable part of different driving jobs and in turn calculates the threat that automation poses. It finds that in total, automation could eliminate half to three-quarters of driving jobs (PDF). The impact of these losses could be mitigated, not only if drivers can be retrained in both public and private efforts, but if automation could in fact enable drivers to instead engage in other, higher-skilled tasks that are required of the job (e.g., sales or customer service while the vehicle drives itself) that could increase wages and opportunities. This benefit applies not only to professional drivers, but to anyone who drives to and from a job but could conduct at least part of their work from within a vehicle. Professional driving is not the only job that will face disruption and risk. If autonomous vehicles are safer, automation could affect the workforce throughout the “crash economy” through a decreased demand for labor in auto insurance, auto repair and body shops, health care, and legal services. The “crash economy” could be affected through decreased demand for labor in auto insurance, auto repair, health care, and legal services. While the types of jobs that are likely to be lost are readily apparent, like other technological revolutions before it, the autonomous vehicle future will create new types of jobs. Consider, for example, the highly skilled autonomous vehicle technician who repairs the sophisticated vehicle sensors in the event of the rarer but still possible crash. Or consider the job of a remote autonomous vehicle operator who provides real-time driving assistance to an autonomous vehicle when it encounters hard-to-navigate driving conditions. Additionally, autonomous vehicles will create other new jobs and industries that are impossible to imagine today. Just a few decades ago, the internet reduced or eliminated jobs that were once routine like travel agents and bank tellers, but it created new jobs that were hard to conceive of just a few decades ago like app developers, bloggers, and social media managers. The same will be true of autonomous vehicles, and education and other policies will be needed to ensure the workforce is ready to fill those jobs. But a third impact of autonomous vehicles that is often overlooked may be just as powerful as the loss of jobs and the creation of jobs: increased access to jobs. Access to reliable, efficient, accessible, and cost-effective transportation is key to accessing jobs, as well as training, child care, and other goods and services that enable workforce participation. Yet millions of Americans lack access to good transportation, including older adults (some still in the labor force as people are working longer), adolescents, and individuals with disabilities who are not able to drive, and Americans who cannot afford to drive. For instance, about 24 percent of households below the poverty line do not own a vehicle, compared with just 2 percent of households with incomes over $100,000. Individuals living in poverty are about three times as likely to take transit and 1.5 times more likely to walk (PDF). Walking and transit can take much more time and limit travel to destinations that are accessible by these modes. Autonomous taxi services in particular could transform mobility for these individuals because of decreased cost and increased availability and accessibility. Some estimates suggest that the per-mile cost of using a shared autonomous vehicle service (PDF) could be 30 percent to 90 percent less than owning a conventional vehicle or using conventional taxis, depending on the nature of the service. In other words, per-trip costs could be comparable to public transit, but with greater convenience and speed. Second, the lower cost of shared autonomous vehicles may also increase mobility in underserved regions where many Americans live, including small towns and rural areas, as well as poor urban areas. Third, autonomous vehicles may be easier to make accessible to individuals with disabilities than traditional vehicles, as they only need to be modified for passenger use and not for driving. There is an important role for policymakers to help realize the potential gains from autonomous vehicles and increase workforce participation and diversity. First, policymakers could create incentives for manufacturers and service providers to prioritize these markets and reach them sooner than they might otherwise. Incentives could include cost-sharing programs, subsidies, or other financial levers. They could also include partnerships to integrate both public and private shared autonomous vehicles into existing transit and paratransit services so that they are complementary rather than competing. Second, policymakers could incentivize technology developers to ensure that accessibility for diverse populations is a priority when designing these vehicles. Third, while the cost of shared autonomous vehicles may be lower than some transportation alternatives, public assistance may still be warranted. These efforts would be in addition to policies to retrain drivers and others who may lose their jobs due to this technology, as well as to educate and prepare incoming workers for new jobs of the autonomous vehicle future. In sum, autonomous vehicles will have negative consequences for many professional drivers and others in the crash economy, while also creating new but hard-to-predict job opportunities. Yet one of the greatest benefits to the American workforce may simply be a greater ability to get where you really want to go. 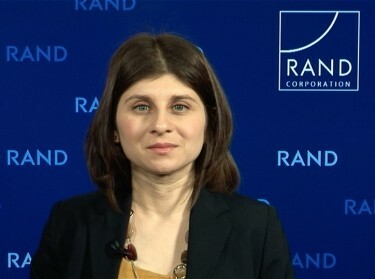 Nidhi Kalra is a senior information scientist at the nonprofit, nonpartisan RAND Corporation, director of RAND's San Francisco Bay Area office, and a co-director of the RAND Center for Decision Making Under Uncertainty. Driving to Safety: How Many Miles of Driving Would It Take to Demonstrate Autonomous Vehicle Reliability?